Lithuania is often called the “Land of Castles”. 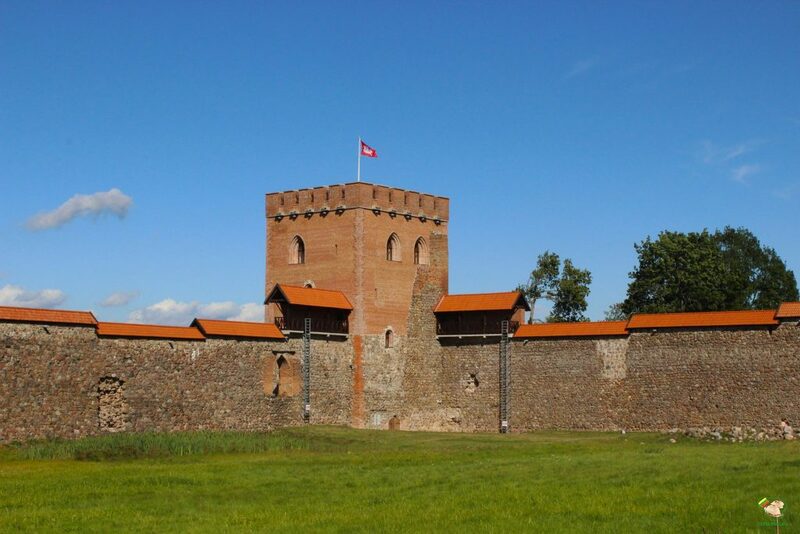 During the medieval ages Lithuanians needed to defend territory from different invaders and castles were the best form of protection at these times. 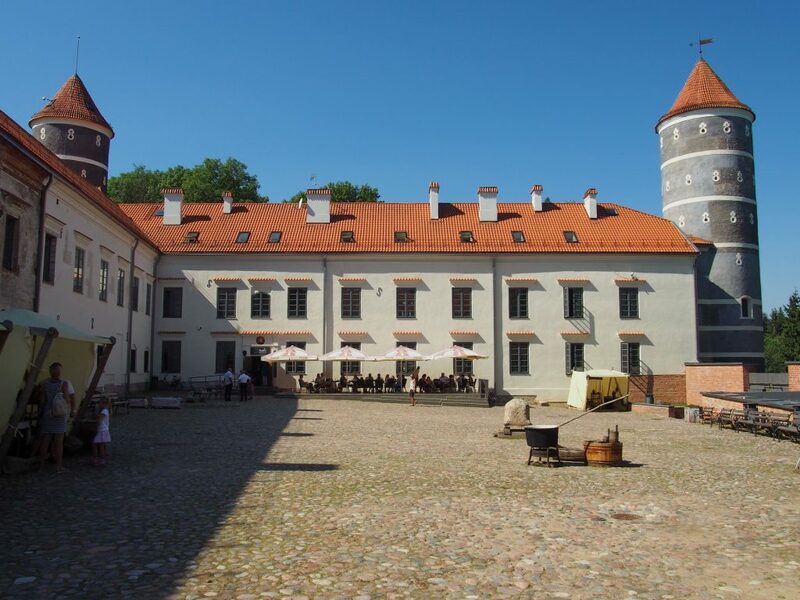 Here is a list of most famous Lithuanian castles. In the 14th century, a stone castle was built at the confluence of the Nemunas and Neris rivers to resist Crusaders’ attacks. 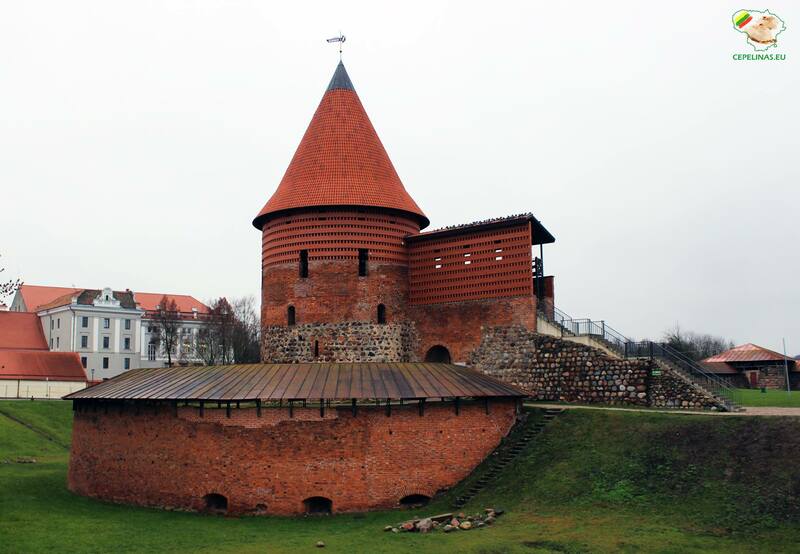 It was the first stone castle in Lithuania which played a significant role in the city’s defense system. Kaunas Castle is a Gothic building with two rows of protective walls and is the only castle of this type in Lithuania. A settlement started forming around the castle, growing into the present-day city. Presently, Kaunas Castle hosts a branch of the Kaunas City Museum and many cultural events are frequently held in its vicinity. Panemunė Castle is situated on the right bank of the Nemunas river, in Vytėnai. The initial hill fort of the Teutonic Knights was replaced by a castle built in 1604-1610 by a noble Hungarian descent Janusz Eperjesz. Panemunė Castle was not designed to be a stronghold for the defense. Instead, as it was typical for the beginning of the 17th century, it was built as a nobleman castle with defensive fittings, residential and farm buildings. Therefore, the castle became one of the most beautiful Renaissance-era building in Lithuania. In the end of 18th century, new owners established lavish manor house like interiors with frescos in the Panemunė Castle. At the present, the castle is prepared for visitors. The castle stands in a park on a high hill and is surrounded by five cascading ponds. It is possible to walk inside the castle, and admire the wonderful view that open from the castle tower. Norviliškės Castle, a former monastery, is a Renaissance style castle in the east Lithuania. The Norviliškės Castle is first mentioned in 1586. In 1617, the owners donated part of the real estate land to Franciscans. Around 1745 they built a monastery and a church in Renaissance style. After the November Uprising of 1831, Russian authorities closed the monastery and turned it into barracks for soldiers. Before renovation in 2005, the castle stood abandoned. Now it offers hosting for business conferences or weddings, hunting, shooting practices, and other activities. Medininkai Castle is a medieval castle near Vilnius. It was built in the first half of the 14th century under the rule of the Lithuanian Grand Duke Gediminas. It was the largest built castle in Grand Duchy of Lithuania. The castle had four gates and towers. The main tower, about 30 meters high, was used for residential quarters. The castle was situated on the marshy plain, near the road to the Ruthenian lands. There were no any rivers or lakes nearby. Thus, it was not a convenient place to settle, and the castle did not transform into a city. On the other hand, by virtue of this, Medininkai castle preserved better than all the other Lithuanian strongholds and saved its authentic look of the 15th century. 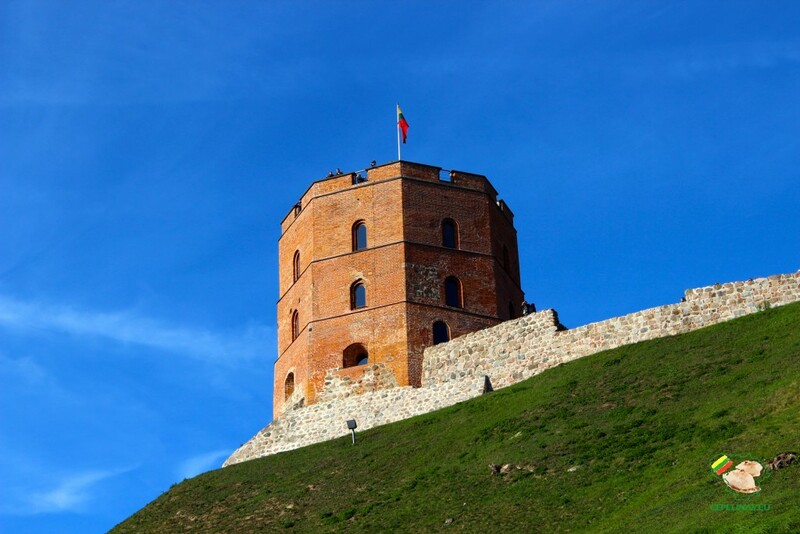 After Lithuania regained independence, the castle was renovated. Nowadays here in the tower of the castle, a five-floor museum with medieval exhibits is situated. Siesikai Castle is the residential castle near Ukmergė. The castle on the Siesikai Lake was built by Gabrielius Daumantas-Siesickis in the 16th century in the Renaissance style. His heirs were known as Daumantai, also called Siesicki, had given their family name to the nearby town. The masonry palace was reconstructed in the Neoclassical style in 19 century by. Only 2 towers remain from the former castle, which had four of them in every corner of the palace. The castle has been undergoing restoration since 1990. Gediminas’ Tower is the remaining part of the Upper Castle in Vilnius. The first fortifications were built of wood by Gediminas. Later the first brick castle was completed in 1409 by Vytautas the Great. The tower is an important state and historic symbol of the city of Vilnius and of Lithuania itself. It was depicted on the national currency, the Litas (now national currency is euro), and is mentioned in numerous Lithuanian patriotic poems and folk songs. There is a museum in the Gediminas Tower. Here are models of Vilnius castles from the 14th to the 17th centuries, armament, and iconographic material of the Old Vilnius. Raudondvaris Castle is a Gothic-Renaissance residence, located in the eponymous town of Raudondvaris. Castle first mentioned as a pagan keep by Teutonic chroniclers in 1392. The red brick-built manor (Raudondvaris means “Red Manor”) was the personal property of Grand Dukes of Lithuania and Kings of Poland until 1549 when Sigismund II Augustus donated it to his wife Barbora Radvilaitė (Barbara Radziwiłł). In the 17th century Prince Jonas Radvila (Janusz Radziwiłł) ordered its reconstruction, which gave it its current form. The further renovations provided it the Gothic Revival shape, though some traces of earlier Renaissance and Gothic elements are still visible. Around that time, the manor was surrounded by a large English-style garden, with a large orangery housing lemon trees. Before World War I Red-brick manor was known to house extensive art collection including works by Leonardo da Vinci, Rubens, Caravaggio and Jan Matejko. The castle was badly damaged during World War II. Currently, Raudondvaris Castle houses the Lithuanian Institute of Melioration, as well as a small museum. Pilėnai (Pillenen in German) was a hill fort in the Grand Duchy of Lithuania. Its true location is is subject to academic debates. However, it is well known in the history of Lithuania due to its heroic defense against the Teutonic Order in 1336. Attacked by a large Teutonic force, the fortress, commanded by Duke Margiris, tried in vain to organize a defense against the larger and stronger invader. Losing hope, the defenders decided to burn their property and commit mass suicide to deprive the Order from prisoners and loot. 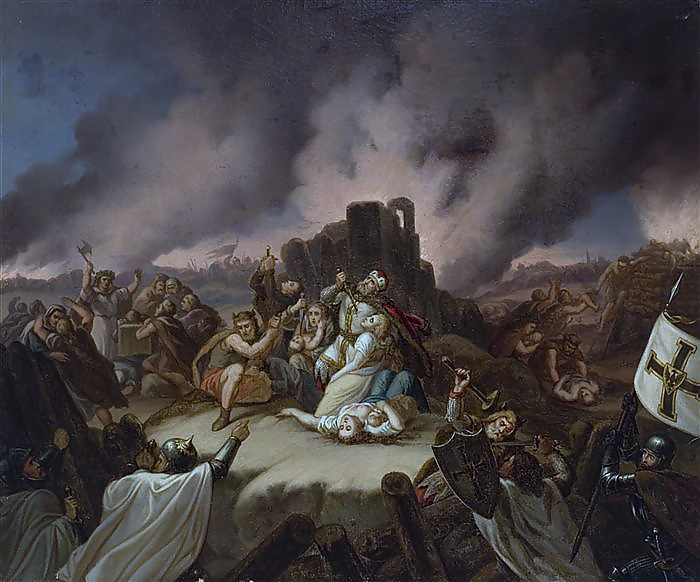 This dramatic episode from the Lithuanian Crusade has caught the public imagination, inspired many works of fiction, and became a symbol of Lithuanian struggles and resistance. The events were described by Vladislovas Sirokomlė (Władysław Syrokomla) in his epic poem “Margiris” (Margis, Margier; 1855). Biržai Castle is a castle in small town Biržai. Construction of the earth bastion-type castle started in 1586 by the order of Kristupas Radvila “Perkūnas” (Krzysztof Mikołaj “the Lightning” Radziwiłł). Since the second half of the 17th century, the castle has been the main seat of the one of the Radvila (Radziwiłł) family line. Biržai fortress was used as a major defensive structure during the wars with Sweden. Further castle lost its military importance and gradually fell into disrepair. 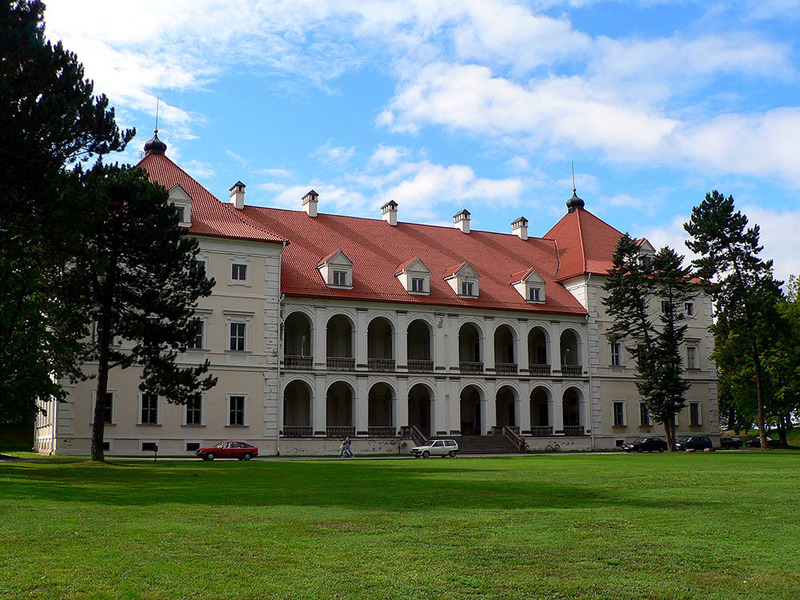 The Biržai Castle was reconstructed from ruins in the 1980s, in the Renaissance-Baroque style. 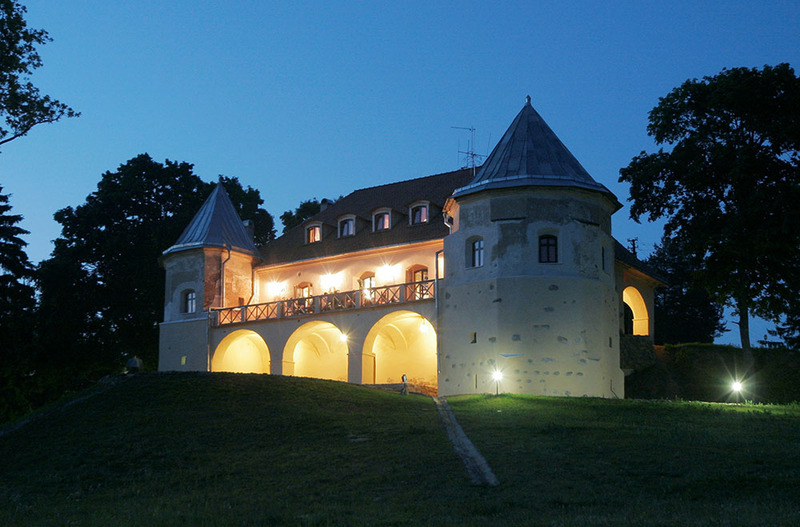 The residential manor of the castle houses a library and a regional history museum “Sėla”. 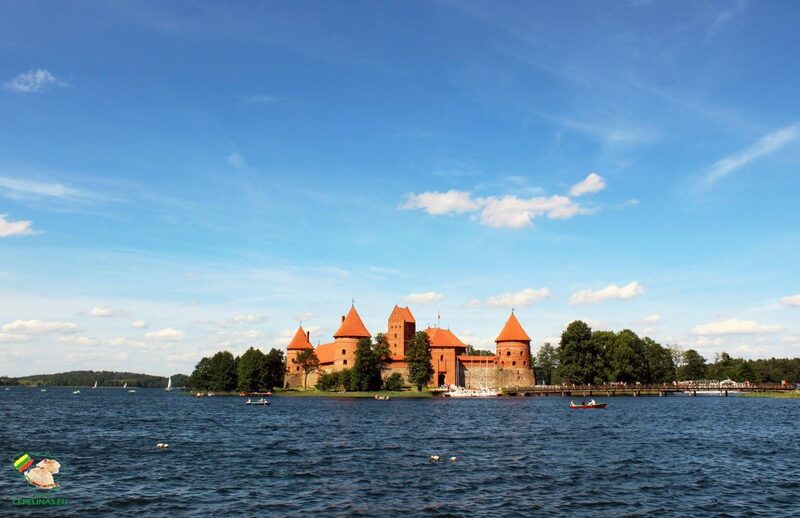 Trakai is the most famous and spectacular Lithuanian castle. According to a legend, after a successful hunting party, Grand Duke Gediminas discovered a beautiful lake-surrounded place and decided to build a castle in the location. 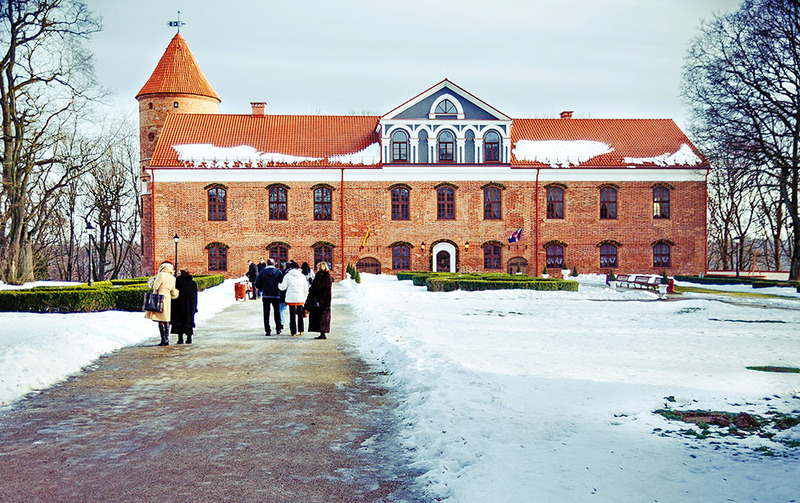 Son of the Gediminas – Grand Duke Kęstutis has built the new stronghold on an island in Lake Galvė. A village grew around these castles. 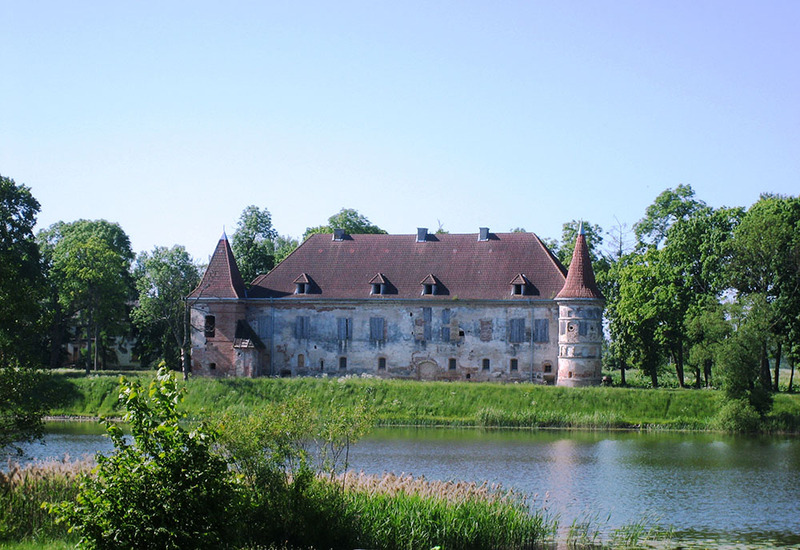 Next Grand Duke Vytautas replaced the older, wooden fortress with a stone-built castle in early 15th century. Trakai became a political and an administrative center of Lithuania and sometimes named a de facto capital, because of the fact, that Vytautas spent more time in Trakai then in Vilnius (official capital). During the never-ending wars between Russia and Polish–Lithuanian Commonwealth in the 17th century, the town was plundered and burnt, the castle was demolished and the town’s prosperity ended. The Trakai Island Castle was restored only in 20th century. Now it serves as the main tourist attraction, hosting various cultural events such as operas and concerts.